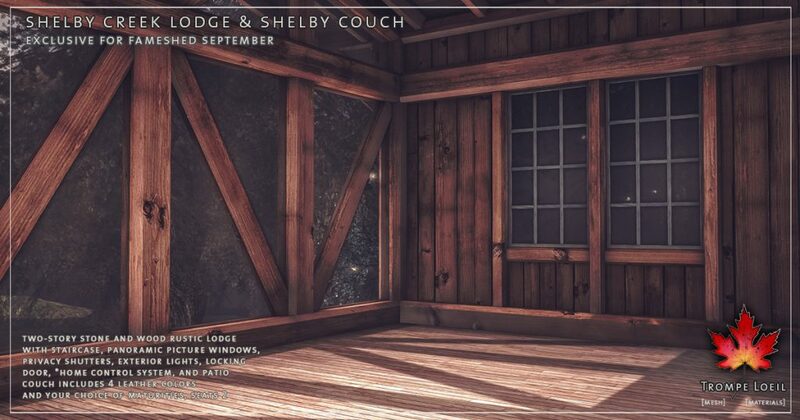 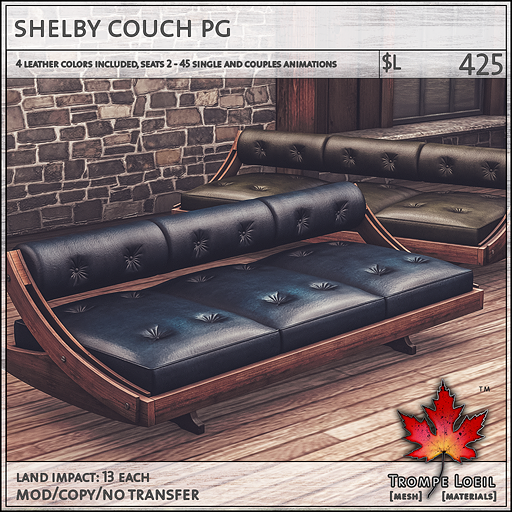 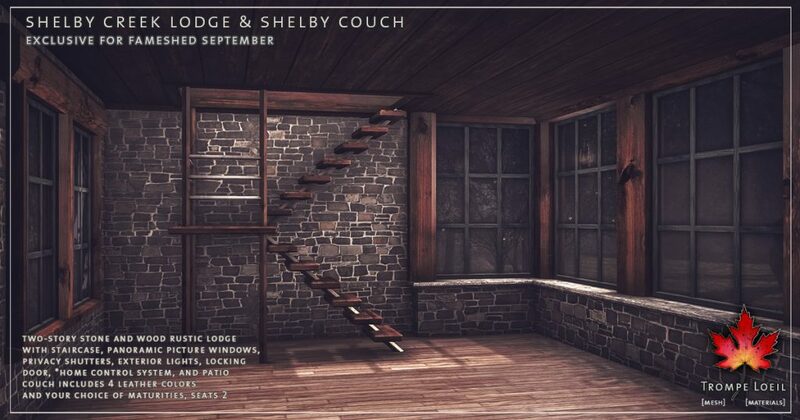 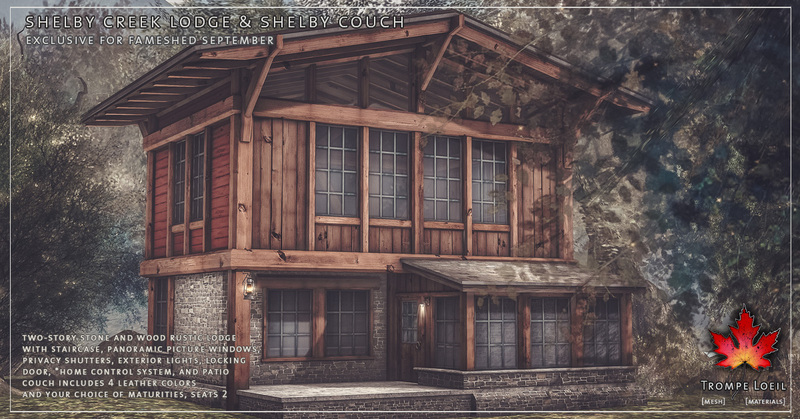 The brink of autumn requires a treetop view of the changing leaves, a rustic retreat with eternal style in the natural colors of the season – the new Shelby Creek Lodge and Shelby Couch, only for FaMESHed September! 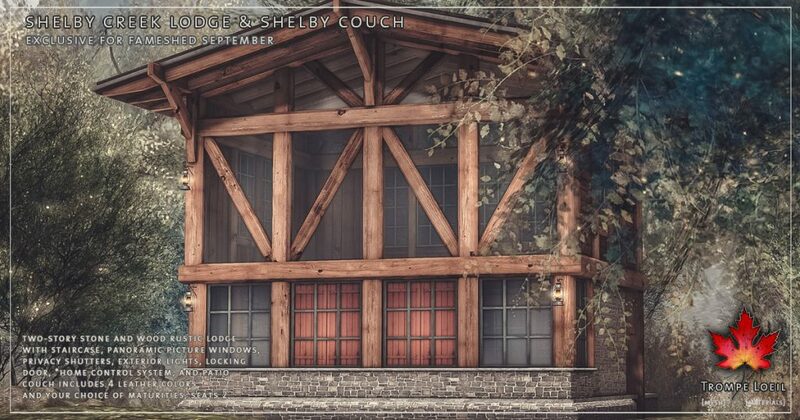 The Shelby Creek Lodge is a two-story stone and wood post home with both traditional and plate glass floor-to-ceiling windows to take in the scenery. Privacy windows shutter on the bottom and wall on the top in the matching red painted wood boards for a seamless look and tons of variety. 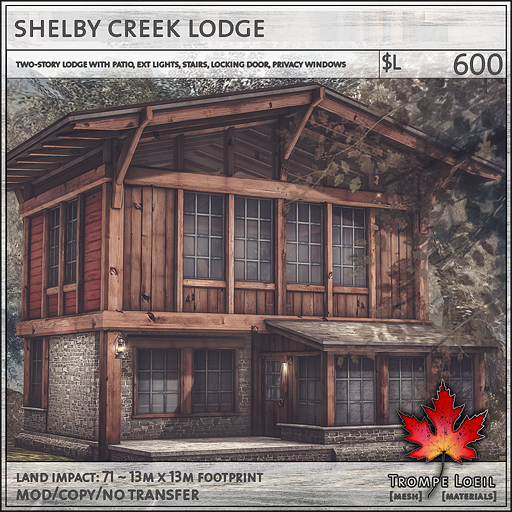 External lights, locking door, and our *home control system round out the features. 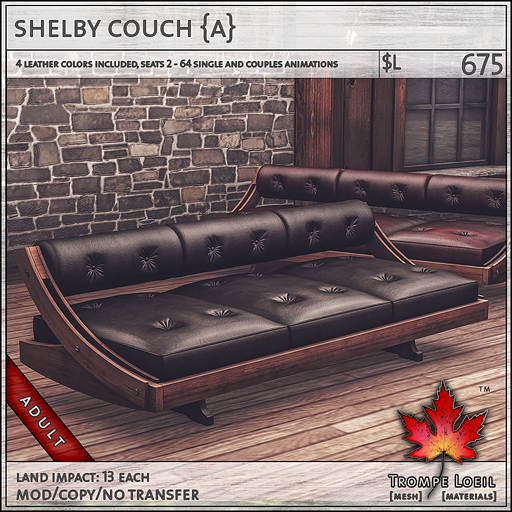 Plus, the Shelby Couch is a midcentury modern treasure that looks at home in a hunting lodge or a downtown apartment – we include 4 leather colors and your choice of maturities. 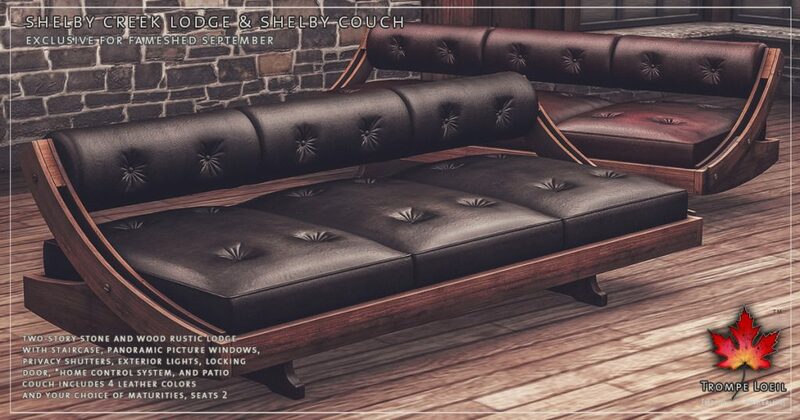 Check out the on-site display at this month’s FaMESHed round!